Allergies can be very frustrating and, while there are different kinds of allergies, some of the most common symptoms include sneezing, wheezing, watery eyes, running nose and itching in the nose and eyes. It is no wonder then that so many people are looking for home remedies. The cost of Claritin and Benadryl, popular antihistamines can be quite steep especially if you have to take them regularly. 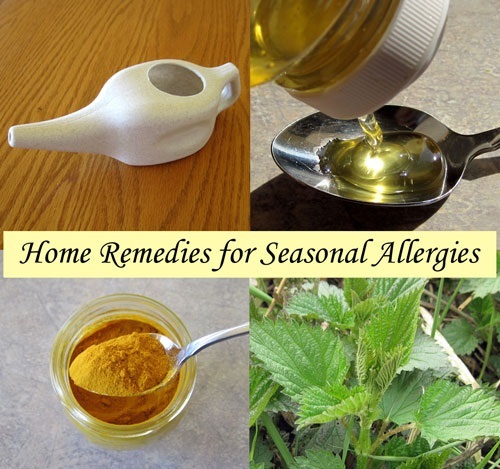 This is one of the reasons why many people are looking for home remedies for allergies. Aside from the cost of meds, regularly taking medication can have a negative impact on your liver since it needs to prioritize “clearing up” the medicine from your system before it can do its normal function. Home remedies on the other hand are usually homeopathic, natural and more affordable, leading many people to look for alternative solutions. Allergy meds are not only expensive; they also make you feel tired and sleepy. Luckily, there are natural remedies that can bring relief just by opening our cupboards and pantries and making simple lifestyle changes. Check out some remedies that could be just a few footsteps away. Neti pots can help stop allergy symptoms before they surface. It might not stop your allergy totally but it can keep your meds usage down. Fill your neti pot with distilled or sterile water and rinse one nostril at a time twice a day. This will help remove dust and pollen from your nose and keep symptoms at bay. Neti pots look like teapots with long spouts and are available in many drugstores. According to a study published in the Annals of Internal Medicine, acupuncture can help relieve hay fever. Researchers found that subjects who were assigned 12 sessions of acupuncture experienced more symptom-relief compared to antihistamine users. Scientists do not know yet how acupuncture is fighting allergies but studies suggest that it helps curb substances that spur allergic reactions. While acupuncture is not strictly a home remedy, there are many acupuncturists practicing in major cities where you can book sessions to help relieve symptoms. Start using turmeric when cooking. Turmeric belongs to the ginger family and can help curb allergy symptoms. It contains curcuma a nasal decongestant. Turmeric is a powerful antihistamine which helps to remove excess mucus in the sinuses and help treat respiratory issues. Aside from this, turmeric has anti-inflammatory and antibacterial properties which can help boost the immune system. Turmeric has a peppery flavor which you can use to season your meals. Butterbur is a herb that acts like an antihistamine. It is best used for treating nasal allergies. The active ingredient in butterbur is petasin and is thought to fight against leukotrienes and histamines which trigger allergic reactions. Before taking butterbur as a home remedy for allergies, consult your doctor first. Butterbur may have adverse effects for people who have ragweed allergies. Ingesting certain foods can also trigger allergic reactions. For people who have food allergies, it is best to keep a food diary. For example, there are certain cheeses that can cause blood vessels in the nose to swell causing congestion. Dried fruit such as mangoes can also cause throat itching which can lead to coughing and asthma. People who are allergic to pollen should watch their intake of watermelons, banana, cucumber and sunflower seeds which can trigger reactions. Keeping a diary of which foods to avoid can help minimize the risk of an allergic reaction and can be shared with your doctor for your next visit. Make sure that your vacuum cleaner has HEPA or high-efficiency particulate air filters. If your vacuum cleaner, air filter, air conditioner or heating system does not have HEPA filters, you may be stirring pollen and dirt around your home. HEPA filters trap dust mites, mold, pollen, pet dander and other pollutants which can help bring allergy relief to sufferers. Speaking of air filters, check the filter in your car too. You should change air filters at least once a year to prevent pollen and other pollutants from being blasted into your face. If honey isn’t working for you, bee pollen might just be the answer. Start with a small amount and then gradually increase your dosage to build your immunity against pollen in your area. This practice is aligned with the “hygiene hypothesis” where childhood exposure to germs and bacteria can help build the immune system. Take bee pollen before allergy season so that your system is ready to take a hit once the pollen fills the air. Before trying this home remedy, be sure that you are not allergic to pollen and make sure to buy local pollen. Allergy season is usually during spring and summer when people start spending time outside their houses. A great home remedy for allergies during this time of year is a cool citrus drink. Citrus fruits such as oranges and lemon contain lots of Vitamin C which can help boost the immune system. Many of you are probably turned off with this home remedy but it works very well. Red onion contains a compound called quercetin which is also referred to as nature’s antihistamine. Quercetin is known to inhibit inflammation and is a bronchodilator, opening your airways and helping you to feel and breathe better. Just thinly slice 1 big red onion and add 4 cups of water. Infuse for 8-12 hours before drinking twice daily. Add some organic raw honey in individual glasses to make it a bit sweet. Keep windows closed during allergy season or during windy days. If you must open the windows, open only partially. Line drying your clothes can contribute to allergies since pollen and other pollutants can stick to it and trigger an attack. Rinse your hair and body with cool water to remove allergens that got stuck on your body. This will prevent allergens from transferring from your skin to your bedding. If you don’t want to take a cool shower, change your clothes when you enter your house to prevent pollen transfer to your house. 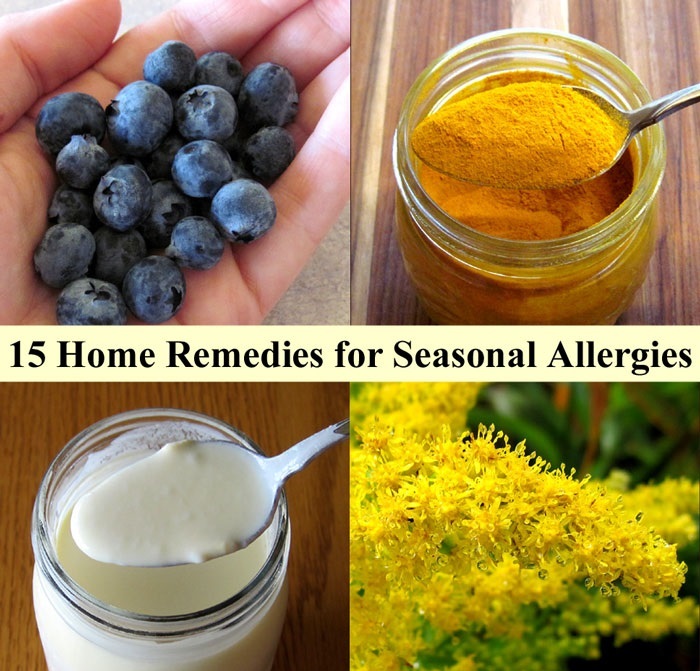 When it comes to remedies for allergies, it is best to try out several to find out which ones will work for you. If none of these home remedies work, make sure that you have your normal medication on hand so that you can manage your symptoms before it gets worse. Always make sure to check with your healthcare provider when trying out home remedies and to monitor your own reactions and symptoms. Nora Taylor is passionate about helping developing countries and people worldwide to deal with infections and diseases. She is certified in Workplace Emergency First Aid, Red Cross First Aid and Marine First Aid. Nora lives in Vancouver, BC, but travels to Africa and Asia every year.